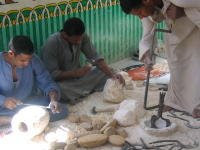 This is a retrospective post since the events all occurred well before I was blogging :) It was written on 14 May 2008. Bean & I didn't really choose Egypt as our next holiday destination, it chose us. Only a few month after we got back from Singapore & Thailand, a very good friend of Bean's and his wife announced (Dolce & Gabbana) they were going and who wanted to join them? 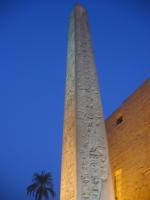 Egypt has always been very high on my list of destinations I want to visit, because of my fascination with all things ancient Egyptian. 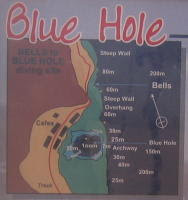 I was dead keen, but a little poor having not yet managed to save up much after our last trip. 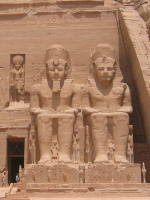 Thankfully, the Receiver came to my rescue with a windfall payout in January and we booked our trip for June, the King Ramses Tour with On The Go. Little did we know that by the time we went our relationship would be on a downward spiral and not survive the next 6 months on our return. But to be fair, we did have a fantastic time in Egypt and remembering that time together was part of what made our break-up decision so hard for me. 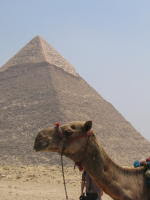 We left Joburg on the 15 June 2006 and had a lengthy stop-over at Jomo Kenyatta Airport in Nairobi, Kenya but arrived safely, as scheduled, in humid Cairo. We managed to see the pyramids from the air as we flew in. It was unbelievable! We arrived a day before the tour started in Cairo and spent the first day visiting the Egyptian Museum. I absolutely loved it :) It was fascinating. The oddest part for me was walking into the Mummy Room and the first mummy I saw was the one discussed in a book I'd just finished reading, The Hiram Key. And in the evening we had our first official look at pyramids up close. The next day our tour officially started and for Dolce & Gabbana to arrive. 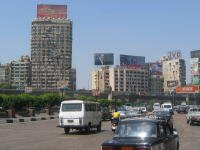 We spent the day wandering Cairo, trying to navigate it's crazy traffic ... and I thought Joburg was bad? That's a view of the Nile River on the left. 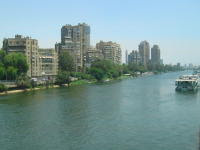 That evening, the entire tour group went on a Nile Dinner Cruise on the Nile Crystal. 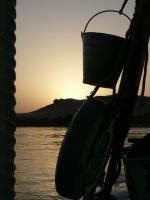 It was great watching the sun set over the Nile as we floated by. 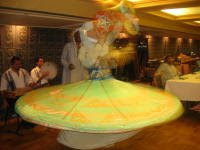 We got entertained by a belly dancer and a Whirling Dervish (photo on right). 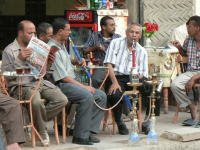 While in Cairo we stayed at the Zayed Hotel. 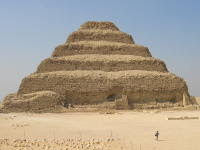 And then we headed South to Saqqara to see the Step Pyramid (apparently one of the first built) before hopping on an over night train to Aswan. Egyptian Overnight Trains are no where near as impressive as the ones in Thailand! 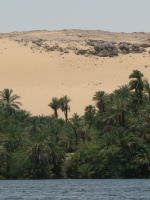 Today we arrived in Aswan and took a ferry to our island hotel, Isis Island. And in the afternoon, we took a bit of a boat ride along the Nile and visited Philae Temple which I thought was amazing (my first hieroglyphics outside of the museum!). We went to the Aswan High Dam - not that interesting, really. And then we went for a wander around some of the markets in Aswan. In the evening we were lucky enough to attend a Nubian Wedding. Not a normal aspect of the tour, but one of the On The Go Tour Guide's family member's was getting married in Aswan while we were there and it's considered very auspicious to have foreigners at your wedding reception, so we all got invited. It was quite a different experience, the bride & groom sat way up on a stage but, after the traditional bit (a guy running around in a gorilla suit?) they started dancing with everyone. Later that afternoon, we moved from our hotel to our felucca. We'd be spending the next 2 nights cruising down the Nile :) It was a lovely experience ... we swam in the Nile and enjoyed beautiful sunsets. The first evening was spent at a Nubian house smoking shisha and watching Nubian dancing (although we slept on the felucca). 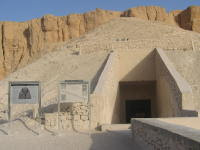 We spent most of the day on the West Bank and visited The Valley of the Kings, The Valley of the Queens and The Mortuary Temple of Hatshepsut as well as an alabaster workshop (shown in the photo) while there. The Valley of the Kings was absolutely amazing ... although you don't get to take any photos :( The colour of the hieroglyphics has been preserved so well and it's just awe-inspiring to walk thru the tombs. Hatshepsut's Temple was also amazing and absolutely massive ... far more impressive from afar than either the Valley of the Kings (seen in the photo on your left ... such a dull exterior!) or Queens! After seeing all there was to see on the West Bank we returned to the East Bank (in the searing heat of mid day!) 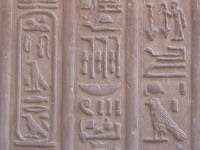 to visit Karnak Temple. By now we really were templed out and this one just didn't seem as incredible as Luxor Temple had last night (might've been a touch of heat exhaustion! 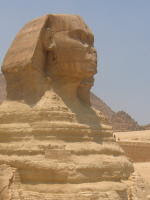 ), although I did really like the Avenue of ram-headed sphinxes. 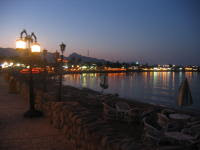 I'll tell you now, the drive from Luxor to Dahab is long! But so well worth it :) I'll admit right here that Bean and I dived and dined the days away ;) We were also marevelously lucky to be traveling during the Soccer World Cup (meh, I still can't believe made me spend my evenings watching this on a giant screen in a Dahabian restaurant!) and a mere 2 months after the bombings - which meant that the place was practically deserted! It was 3 days of pure bliss! And then sadly our trip was winding down. We spent a day driving back from the blissful beach to Cairo. The most hysterical part of this trip (and I'm sure all the rest of you from South Africa will agree!) was having a toilet stop and gawking at their idea of a "Ladies" sign ... yes, our very own bokkie-from-Benoni, Charlize. I just had to stand laughing for a moment and then take a photo. My fellow travelers thought I was nuts! We went to the Pyramid Sound & Light Show back in Cairo in the evening. It was pretty cool and started hysterically with some "pharaoh" bag-pipers (try even picturing that one! Pahahahahaha). Our last day in Cairo was spent at a local market and a second trip to the Egyptian Museum. Sadly we had an extra day of holiday ... instead of arriving home today, we spent it at the Hilton Hotel in Nairobi after our flight was delayed in Sudan (the people boarding the plane seemed to think that their 8 items of normal luggage should somehow fit in an already full overhead compartment ... hello?) and our connecting flight to Joburg left without us. We ended up arriving back in Joburg on the morning of Saturday 1 July, barely in time for a friend's wedding. I ended up sick as a dog with a 7 day stomach virus that left me barely eating soup for a good few days. It was a poor end to a fantastic trip!